John P. Cardone earned a BA and a MA both in Communication Arts from New York Institute of Technology in Old Westbury, NY. He retired in December 2018 after 40 years as a writer/producer of patient education, medical education, and health promotion videos and interactive media programs. His company, Hospital Video Network, Inc. founded in 1984 served a long list of healthcare and business clients. These days, he actively spends his time inspiring people to get outdoors with nature. John is an author, a nature photographer, a wildlife photography instructor, and a lecturer on nature topics. He has been invited to speak at the Survivorship Meeting of the Long Island Chapter of the National Leukemia and Lymphoma Society, numerous public libraries and bookstores, the Clark Botanic Garden, the Nassau County Hiking and Outdoor Club, the LI Paddlers Club, the Carman’s River Kayak Shop, the Holtsville Wildlife & Ecology Center, the Great South Bay Audubon Society, the Wertheim National Wildlife Refuge, and the Quogue Wildlife Refuge among other centers and organizations. John’s nature photographs, most of which have been taken while kayaking and hiking Long Island, have been exhibited at art shows with the Northport Arts Coalition, the Southampton Artists Association, the Good Ground Artists out of Hampton Bays, the Islip Arts Council, the Art League of Long Island, Levittown Library, Sachem Library, Connetquot Library, Half Hollow Hills Library, East Islip Library, Great Neck Library, Syosset Library among others. John grew up in Astoria, NY moving to Long Island after his military service in 1970. He resides in Ronkonkoma, NY with his wife Kathy. They have two children and five wonderful grandchildren. 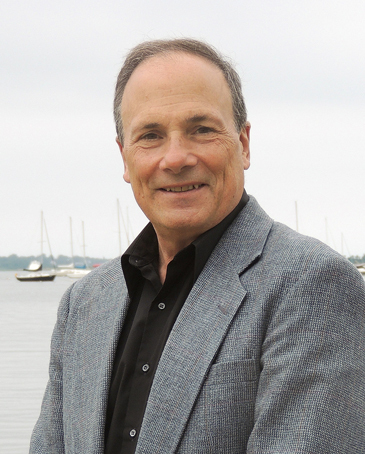 John is proud to say he is the founder of the Long Island Authors Group and a cancer survivor. This entertaining, highly researched work is his fourth book and his second foray into non-fiction.